Pre-Season DC-IBWAA survey; how’d we do with our Predictions? Every year, Dave Nichols over at DistrictSportsPage.com runs a fun little pre-season survey, asking the various Nats bloggers to do predictions about various things. Here’s a navel-gazing look back at how my predictions turned out. 1) Question: Who will lead the Nats in home runs in 2015? My Prediction: Bryce Harper. Actual leader: Harper with 42. Not only did Harper lead the team, he tied for the league lead in homers during his monster season. No one else on the team even had 20 homers; 2nd place went to Ian Desmond with 19. 2) Question: Who will lead the Nats in RBI? 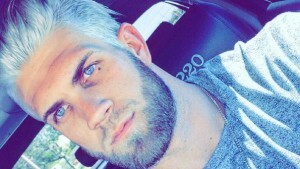 My Prediction: Bryce Harper. Actual leader: Harper with 99, good for 5th in the NL. 2nd place went to Ryan Zimmerman with 73, no small feat considering that he only played in 95 games (that’s a 134 RBI pace for a full season … not that Zimmerman will ever play a full season again). 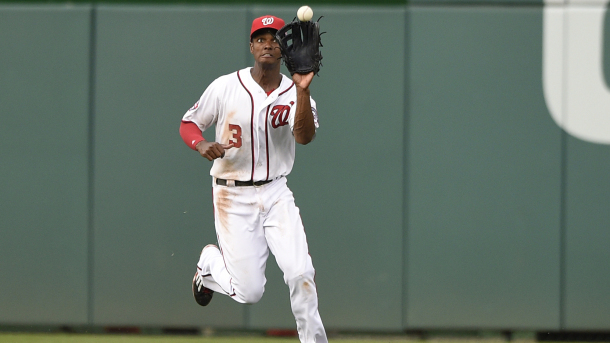 3) Who will lead the Nats in stolen bases? My Prediction: Denard Span. Actual leader: Michael Taylor with 16. Span ended up with 11 SBs in his 61 games and clearly would have led the team had he played a full season. The Nats were 14th out of 15 NL teams in total steals, an infrequently noted fact about the team. 4) Who will lead the staff in wins? My Prediction: Max Scherzer. Actual Leader: Scherzer with 14. I may have been right here, but not in the fashion I thought i’d be right. I figured Scherzer would have a monster season in his first taste of the NL, going 21-3 or something ridiculous. Instead he scuffled in the middle of the season, got poor run support and finished the year with a 14-12 record. 5) More plate appearances: Ryan Zimmerman, Jayson Werth or Denard Span? My Prediction: Jayson Werth. Actual Leader: Ryan Zimmerman, who got 390 PAs to Werth’s 378. Span finished with 275. Three important hitters to this team and none of them played much more than a half a season. 6) Who has more appearances: Craig Stammen, Tanner Roark, Blake Treinen, Casey Janssen or Aaron Barrett? My Prediction: Casey Janssen. Actual Leader: Blake Treinen with 60, tying for the team lead with Matt Thornton. Stammen made just 5 appearances before season-ending surgery, Barrett made 40 before the same issue befell him. Janssen ended up being 5th in appearances, posting an ugly 4.95 ERA for the season. Roark spent the entire season flip-flopping between roles, even being sent back to A-Ball at one point (not on merit but to stretch him out a bit); not exactly what you’d expect of a guy who posted a 5 win season the year before. 7) Who has more appearances: Jerry Blevins, Matt Grace, Xavier Cedeno or Matt Thornton? My Prediction: Jerry Blevins. Actual Leader: Matt Thornton: the battle of the loogies. I wrote Blevins before he got angry-traded and gave the Nats zero appearances. Cedeno was run out 5 times before being summarily DFA’d; he was the only guy outrighted off the 40-man roster this entire season. Grace was so-so in 26 appearances while Thornton earned his contract, putting up a sterling 2.18 ERA in 41IP across his 60 appearances. Why exactly did New York waive him? He’s a FA and I hope he signs on for another tour of duty. The real revelation of lefty relievers this year was Felipe Rivero, who i’d be clamoring for in the rotation if he had anything resembling a third pitch. 8) More plate appearances: Danny Espinosa, Dan Uggla or Yunel Escobar? My Prediction: Yunel Escobar. Actual Leader: Escobar by a large margin; Escobar became the team’s 2nd best hitter and played nearly every day he was able. Uggla proved to be what a lot of people thought he’d be; an aging slugger no longer able to hit, but somehow he stuck on the roster *the entire season* thanks to the constant injury parade. 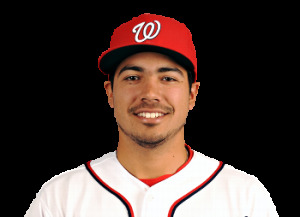 Espinosa ended up getting 412 PAs thanks to Rendon’s injury issues and may have bought himself another year with the organization. 9) Over/under for number of games for Wilson Ramos at 85 1/2. My Prediction: Over. Actual answer: indeed it was the Over; Wilson Ramos was healthy for the entire season (a first) and played in 128 games. 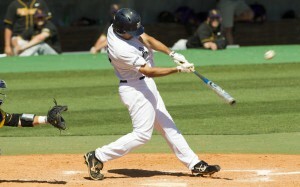 Unfortunately he was badly, badly exposed at the plate, putting up an awful slash line of .229/.258/.358. His backup was even worse; I have a feeling this team is going shopping for catcher depth this off-season. 10) Which single minor leaguer are you most interested in keeping tabs on this season? My Answer: Trea Turner. Actual Results: its probably safe to say Turner (and his trade-mate Joe Ross) made the most waves of any minor leaguer this season. However, Lucas Giolito is clearly set to make some serious waves in this game by virtue of his lofty status as the best pitching prospect on practically everyone’s list. 11) How many all-stars will the Nats have? Who? My answer: 3: Scherzer, Zimmermann, Harper. Actual Result: Harper and Scherzer. As discussed here, it was an odd year for the Nats, with only two players really making any sort of case for inclusion thanks to injury and downturn. 12) Total wins and what place in the division? My Prediction: 94 wins, 1st place. Actual: 83 wins and 2nd place. I feel like we may have talked about this a bit. Essay: What should be the single most important development for the Nats this season? My answer in March: Simple: World Series or bust. The team has been way, way too good to have *just* two weak NLDS “3-and-outs” to show for it the last few years. With the (ridiculously expensive) Scherzer signing and a significant personnel shift coming this off-season, this is the year. Anything less than a WS appearance will be a disappointment. Actual: yup; disappointment is an understatement for what happened to the 2015 nats. GM for a day (or an off-season): what do you do to this team for 2016? How about some navel gazing to start the off-season? 2015 was a train wreck, both on the field (the projected opening day line up played together exactly 2 games out of 162 and there were something like 15 D/L trips among the projected starters this season) and off (the Barry Svrluga series at the Washington Post literally made me say “Wow” audibly while I sat alone reading the stories). What can this team really do to right the ship for next year? Now, I realize the questions “What *should* they do?” and “What *will* they do?” are two completely separate questions. I have no idea what they will actually do; its hard to read Mike Rizzo and the Ted Lerner-led ownership group. We often hear that Rizzo has an “ego” and is sometimes afraid to admit mistakes. We hear rumors that Lerner is in bed with Scott Boras and has gone over Rizzo’s head to sign players Rizzo may not have actually wanted (Rafael Soriano, Jonathan Papelbon?). But we’re not blessed with a hidden camera inside the boardroom of the Nationals management offices, so its mostly speculation. In fact, Svruluga’s stories really led the reader to believe that the Papelbon acquisition was Rizzo’s idea as a consolation prize to acquiring Chapman or Kimbrel. So who knows. 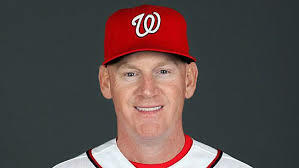 Fire Matt Williams. Sorry, the evidence is too overwhelming at this point. Here’s some quick qualifications for the manager i’d like to see: able to communicate properly, isn’t a Micro managing inflexible drill sergeant, knows how to read a Run-Expectancy chart, knows how to properly set a lineup, realizes that saves are useless and isn’t afraid to throw his best pitcher when needed, understands that bunting was exposed as mostly useless 10 years ago, is open to new ideas about usage, shifting, matchups and statistics in general, listens to his coaches, understands that sometimes the 23 yr old precocious rookie is actually a better player than the 38 year old vet on an 9-figure deal, and lastly, relates to the frigging players. Shouldn’t be too hard. Oh one more thing; I want someone who has actually managed a f*cking major league team before. I don’t have an opinion on the rest of the staff but would go under the general theory that a new manager wants his own staff in place. Who knows if hitting coaches, pitching coaches, bench coaches, bullpen coaches and 1st/3rd base coaches have any impact on the players. Hard to prove one way or the other; if the team hits well, the Hitting Coach is a genius. If the team can’t hit … the hitting coach gets canned. I like Steve McCatty … but hey, a new manager deserves his own coaches. Keep Rizzo, but have a serious talk with him about clubhouse chemistry and roster construction and the clear effects their actions have had over the years. Its really simple: when a guy who’s been with the organization is given an under-market, professionally insulting extension contract offer and then you give $210M to some outsider … that’s “Baaaaaaaad” for morale. When you tell everyone you can’t “afford” to keep Tyler Clippard (great clubhouse guy, grown up in the organization, thrown 70+ innings year after year for you) because he makes $8.5M …but then you bring in a clubhouse disaster like Papelbon at $11M to replace your UNION REPRESENTATIVE and all around well liked guy Drew Storen, you may have some downstream issues. Oh; one other thing: take your ego and throw it away and stop trading away useful bullpen parts like Jerry Blevins because he had the audacity of challenging you in arbitration over $200k. You either are or are not on a budget; $200k represented exactly 0.125% of the $160M payroll of 2015. That’s like killing a deal for a $500,000 house over a $625 bill for something or another. Its nothing and it should not have been a factor in the 25-man roster construction. That Blevins got hurt for New York or that Felipe Rivero (his replacement) worked out isn’t the point. Let 8 of the 9 FAs go. Zimmermann, Uggla, Fister, Desmond, Span, McLouth, Janssen and Johnson. This frees up approximately $60M in payroll. You’re going to need some of it in arb extensions (there’s 8 arbitration cases pending though we may trade/non-tender a couple). I’d try to resign just one of my FAs: Matt Thornton. I think he’s done a pretty good job as a situational lefty. I’d offer Qualifying Offers to Zimmermann, Desmond and Span but not Fister. Both Zimmermann and Desmond turned down significant deals to stay here and have made their beds at this point. I think the team has made the decision to not allocate money there and go with internal options. I don’t think any of the three take the QO, not even Span. Why? Because Span just hired Scott Boras and Boras will tell Span there’s a long term contract to be had in the market. Span didn’t hire Boras so he could take a one-year Qualifying Offer (deeper discussion on QOs for the Nats pending FAs was previously done here: To Qualifying Offer, or not to Qualifying Offer (2015 version). I havn’t done major analysis of Tender/Non-Tender cases yet but the only guy seemingly in jeopardy of a non-tender is Tyler Moore; discussed more below. Maybe David Carpenter too depending on the severity of his shoulder injury. Rule-5: this is more about the 25-man roster and not the edges of the 40-man; we’ll do a separate rule-5 post later on. Bullpen: Papelbon, Storen, Treinen, Thornton, Rivero, ? and ? Bench: Robinson, Moore, Espinosa, Lobaton, den Dekker? What do we need? In order: bullpen, lefty hitters, backups and maybe rotation competition. Every projected starter save Harper hits righty right now and that just needs to change. 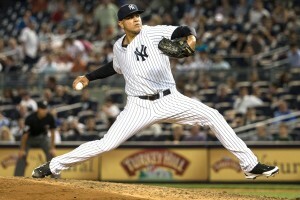 Rotation: Could the team go shopping for a 5th starter? I like Roark and don’t think his 2013 and 2014 seasons were flukes, but the team doesn’t seem to rate him. I like Ross as #3 and think he’s locked in based on his performance this year. Depth wise, we have Giolito who probably will be ready for the rotation by mid 2016; he could see action as an injury call up if need be. I have little faith in the rest of the upper-minors depth right now. Cole, Jordan, Hill have all disappointed at the majors and may be traded for other spare parts. I like Treinen and Rivero … they are both former starters but both have struggled at times and seem likely to stay in the pen. I don’t think this is a high priority to supplement the rotation but I could see it. Maybe Voth gets a shot next year if we get shredded with injuries. Reynaldo Lopez and Erick Fedde are really more like 2017 options unless the Nats get creative and put Lopez’ 100mph heat in the bullpen short term (not the worst idea…) Rotation wise, I think they have bigger fish to fry and will stand pat with what they have. Bullpen; Thanks to the ridiculous choking incident, I think the team needs to part ways with Papelbon. Won’t be easy; he’s due $11M next year, his performance tailed off badly, he’s proven once again in his third organization out of three that he’s a bad apple, and he has a partial no-trade. I’m sure his wife will be happy; reportedly they *just* bought a $2.9M house in Alexandria, like the day before he choked his teammate on national TV. (side note: why would they buy if he was only here for another year?? That just doesn’t seem like the best investment. Now they have a brand new property that they have to ditch). Worst comes to worse, they have to release him to eat $11M. If they part ways with Papelbon, what do they do with Storen? I think Storen still demands a trade; this organization has jerked him around enough times, has now gotten not one but two higher-paid veteran closers to replace him despite regular season numbers that looked just fine each time. Problem is: The FA market for “closers” is pretty weak (there’s just one closer on the market: Joaquin Soria); maybe if Papelbon is gone the organization makes right by Storen and lets him reprise the role. Of course, on the flip side, the trade market for closers should be pretty good as a result and maybe Rizzo can spin some gold like he did with the Matt Capps trade. If Papelbon leaves, maybe they kiss and make up with Storen and give him a bigger-than-he-deserves arbitration award and makes him happy. Still kind of thin; how many of those “depth” guys proved they were ready to go in the majors this year? Are there any guys on the rise in the system who could make sense to push for a spot next year? How much would you pay for someone like Clippard on the open market? Maybe we’re going to see some kind of blockbuster trade where we acquire the surplus of arms we need. Infield: seems rather set; Turner is a ready made replacement for Desmond. 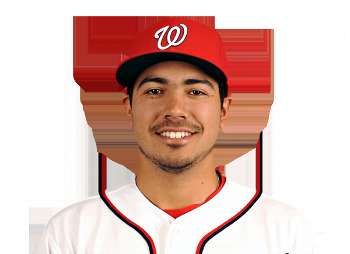 Healthy Rendon at 3B is a 5-win player. Escobar more than earned his money this year and defensively makes more sense at 2B where he can do less damage. Zimmerman isn’t going anywhere (except back to the D/L for the millionth time in his career). Espinosa remains one more year as the backup infielder and the team finds an additional utility guy from within (Difo?) or in the FA market for backup purposes. Ramos was finally healthy for a whole season … and took a huge step back at the plate; do we try to replace him? We could go for someone like a Matt Weiters, who hits lefty and addresses a need and flip Ramos for something we need like bullpen or bench depth. Outfield: Harper and Werth are set in the corners .. .Werth for better or worse. Is his 2015 the start of his decline or an injury excuse? He’s got a no-trade and makes a ton of money and seems locked into LF as long as he’s here. Question marks remain about Taylor; is he a starter or a 4th OF? I think the Nats will pursue a lefty hitting outfielder, then position Harper in either CF or RF depending on the abilities of the acquisition. The name Gerardo Parra keeps popping up; they liked him at the trade deadline and could pursue him again. Or, if Span inexplicably takes the QO, there’s your lefty CF for 2016. Jayson Heyward is a lefty but doesn’t add much punch and is going to be crazy expensive. Bench: the team got a ton from Robinson and Espinosa this year; they’re both back. Moore? Probably DFA’d; he’s eligible for arbitration and there’s likely to be a dozen right handed power hitters who could play a corner and pinch hit here and there. Look for a cattle call of veteran MLFAs like we did for the lefty 1b/LF position that Robinson won this past spring training. I think the team likes den Dekker as “speedy backup CF outfielder” guy so he likely returns too. Plus he hits lefty and really hit well in September. No reason to mess with Lobaton; he gives flexibility at the plate and is cost-contained as a backup C.
Honestly, the core of the team is mostly still intact. If all these guys were healthy all year and hitting at their 2014 rates, this season would have gone a lot differently. I think we’ll see a lot of work in the pen and some activity on the fringes, but no major signings and no major trades. Payroll takes a step back; I can’t tell you how much b/c payroll projections will take time and depend on who gets tendered/re-signed/QO’d, but I could see this team back at $130M heading into 2016. 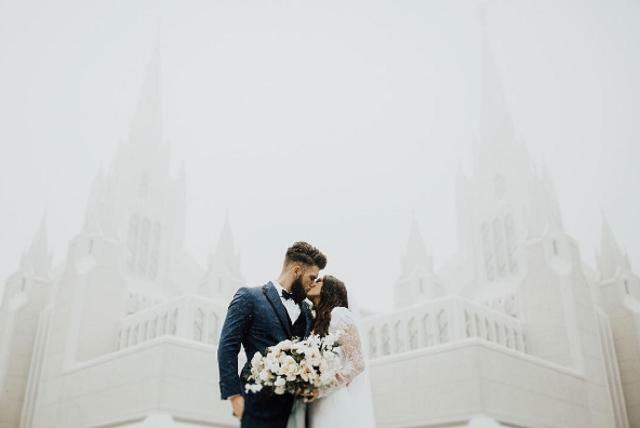 Does this sound like a winning formula? Did I miss anything? Per KW’s comment suggestion, here’s a “State of the Nats” at the halfway point of 2015. Salient key phrase: “Holding On.” Lets look at some component parts. Here’s the full-strength outfield lineup the Nats would optimally like to deploy: Span, Rendon, Harper, Zimmerman, Werth, Desmond, Ramos, Escobar. Here’s what they lined-up against Red’s ace Johnny Cueto a few days ago: Taylor, Espinosa, Harper, Ramos, Robinson, Uggla, Desmond, den Dekker. Yeah, its no wonder they wimpered into the night as Cueto threw a 2-hit shutout. If you’re Cueto, you pitch around Harper (who got a hit and a walk), you attack the rest of the lineup (strike-out prone lead-off hitter Taylor took a hat-trick), and you laugh as you blow through the rest of the lineup (11Ks on the night). That’s five regulars out, but not just any regulars; the D/L includes your expected #1, #2 #4, and #5 hitters. Instead they are replaced by a rookie (Taylor), a career minor-leaguer (Robinson), a cast-off veteran failure (Uggla), a career .230 hitter who the team has spent the last 3 years trying to replace (Espinosa) and a 4th/5th outfielder with just a couple hundred MLB at-bats prior to this year (den Dekker). Frankly, its a miracle the team is in first place. Only by the grace of Harper’s incredible season does this team manage to stay in games. For the record, at the halfway point Harper leads the league in bWAR (6.1), OBP, Slugging, OPS and OPS+. After having a 3-1 K/BB ratio last year, this year he basically has as many walks as strike-outs, one of the primary reasons his average is 60 points higher and his OBP is 130 points higher than it was last year. Hold your breath that Harper doesn’t crash out and miss a month with some injury like he’s done in the previous seasons. If he ends the season with this level of an adjusted OPS+, it’ll be one of the 10-12 best offensive seasons in the history of baseball. Ironically, even given all these injuries the Nats aren’t even close to what some other teams are dealing with; per mangameslost.com, we’re not even close to what the Mets, Rangers, Rays or Oakland has had to deal with. Though I’d venture to say that perhaps the games lost by Nats players are slightly more “important” than the cumulative games lost by some of these other teams. I don’t care who you are; if you remove four of the top five batters from any team’s lineup, they’d be lucky to be out of the cellar. The team has gotten absolutely nothing from presumed bench players McLouth and Johnson (Do you think Rizzo will *ever* buy a 4th outfielder for 8-figures again in his life?). Guys who should be in AAA are getting starts and (at least in the case of Robinson) holding their own. We talked before the season about where Taylor should be (on the MLB bench or in AAA getting starts) … well he’s getting playing time, for better or worse. Instead of worrying about whether Moore was going to get DFA’d to make room, we’re *adding* guys to the 40-man like Burriss to help out. We know about Scherzer. He’s been amazing, should start the NL All-Star game (of course, he’s scheduled to throw the series ender in Baltimore so we’ll see) and he leads all NL pitchers in bWAR. What about the rest of the rotation? Both Fister and Strasburg have missed a handful of starts, and the Nats have tried a whole AAA-rotation worth of replacements to varying results. With apologies to “short sample size judgements” I’ll say that Ross was good, Hill has been ok, Cole has been bad, and Jordan has been worse. Of course, both Cole and Jordan’s delta between ERA and FIP is massive, so their poor ERAs are unlucky to a certain extent. 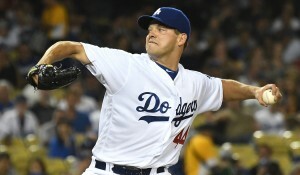 In the meantime, Ross has a 23/2 K/BB ratio and a FIP of 1.11 in his three starts. Its safe to say that this person is excited to see what he can do next, and for me he’s at the head of the line for 2016 rotation candidates. Clearly we know Strasburg has had an off season. But so has Fister. And Gonzalez‘ ERA is in the 4’s. Just how bad is this rotation? Not as bad as you think; they’re ranked 8th in the league in starter ERA but are 1st in FIP and fWAR. Last year they were 1st in all of these categories. So perhaps we can expect some “progression” in the 2nd half as (hopefully) guys like Strasburg clean up their act and pitch closer to their FIPs than their ERAs. We knew Rizzo had weakened the bullpen from 2015, which could have been fine had the injury bug not hit. But the turnover of this bullpen has caught up to the team in some ways. End of 2014: Soriano, Storen, Clippard, Stammen, Thornton, Blevins, and Detwiler. As we stand now: Storen, Janssen, Treinen, Carpenter, Thornton, Rivero, and Roark. That’s a lot of turnover. Yes Storen has been typically excellent (as long as its not the post-season, he seems to be one of the most reliable closers in the game). As we speak, the bullpen is 11th in ERA; last year they were 4th as a bullpen. Janssen’s injury did not help, as it pushed guys into the 8th inning role they weren’t ready for. And we saw Treinen and Barrett struggle (3.69 and 5.06 ERA’s respectively). Granted their FIP shows that those ERAs are unlucky … but those are still runs on the board, blown leads, blown saves. Roark (predictably) has regressed as he’s pitched in practically every role a pitching staff has (long-man, mop-up, spot-starter, rotation guy, middle reliever, setup guy and even a closer). Luckily the gambler Rizzo has gotten pretty good performance out of scrap heap guys like Thornton and Carpenter, both of whom have given the team good innings. Will this last? It better: there’s practically nothing left in the farm system for reinforcements. Barrett is set to return soon (probably pushing Carpenter to AAA), but the other options in the minors do not inspire confidence. Martin got shelled (unfortunately; we were all cheering him on after his call-up and his fantastic start). Grace and Solis were both mediocre in their auditions, and I can’t quite figure out why Erik Davis is even still on the roster. Maybe the team will try some more waiver claims or trades (Neftali Felix just got DFA’d…) to shore up middle relief. Lets talk about streaks. As of the time of this posting, the Nats season can neatly be fit into these four periods, and then talk about what spurred the beginning/ending of each streak. The Slow Start: 7-13 from opening day through 4/27/15. The team came out of the game 7-13, thanks to a sputtering offense and a make-shift lineup still trying to gel. The Comeback: 21-6 from 4/28/15 to 5/27/15: Uggla hits his sole homer on the season to spur a pretty incredible 13-12 comeback win in Atlanta, and the team goes on a 21-6 tear following it. Rotational Worries: 6-13 from 5/28/15 to 6/19/15. Strasburg lasts just 5 batters on his 5/28/15 start, putting 40% of the rotation on the D/L and throwing the rhythm of the pitching staff off. The Kid dazzles: 12-5 from 6/20/15 to 7/9/15; A long road trip/tough schedule stretch ends with a dominant Ross performance at home 6/20/15, kicking off an easy stretch in the schedule and a mostly full-strength pitching rotation. Definitely a streaky team so far. At 7-13, they were 8 games back. At the end of their 21-6 streak, they were 1.5 games up in the division. Despite their 6-13 stretch the only lost 3 games in the standings as the Mets faltered equally, and as of 7/9/15 they’re still 3 games up despite getting dominated at home by the Reds. The team is beating who they should be beating (9-3 against Atlanta, 8-5 against Philly). And they’ve had some success against other teams that are “good” this year (3-1 against the Yankees, 3-0 against Pittsburgh, and a sweep of San Francisco). But they’re inexplicably bad against Cincinnati (0-5? ), Miami (2-4), and were expectedly weak against the rest of the AL East (a combined 3-7 against Boston, Tampa Bay and Toronto). I’m guessing they’ll struggle against Baltimore this coming weekend since they sputtered against Cincinnati. Lets just say that the All-Star break is coming at a pretty good time for this team. The Nats should be healthier coming out of the all-star break. And they’ll need it; their July schedule is tough. They host the Dodgers and the Mets to start, then travel to Pittsburgh, Miami and New York. That’s a slew of games against good teams and their primary divisional rivals. In August they host some bad teams (Arizona, Milwaukee, Colorado) but they also do their big West Coast trip (at Los Angeles, San Francisco and Colorado). They also get a 3-game set at St. Louis that could be an eye-opener for where they really stand ahead of the playoffs. September features practically all divisional games against teams that should all be completely out of it by then, so I forsee a team in cruising mode. The Nats remain in 1st place despite all their issues, and their closest rival is putting out a lineup that most AAA teams could beat. Philly is already 30 games under .500. Miami is 15 games under .500 and just lost their best player. Atlanta sits around .500 but isn’t really trying for 2015 and won’t spend to compete. So I think its safe to say the Nats are winning the division. I’ll guess the Mets hang around since their pitching is so good, but in the end the Nats win the division by at least 10 games. If the season ended today, Pittsburgh hosts the Cubs in the WC, St. Louis hosts the WC winner and Washington would be traveling to Los Angeles to open the playoffs. And frankly its hard to see this changing much between now and October 1st. I don’t think its a stretch to say that the Nats would be underdogs to both the Dodgers and the Cardinals in a playoff series, not unless Strasburg remembers how to pitch again or the offense gets healthy in time. Are we looking at another first round playoff exit?